Did you know a brand new PLAYMOBIL-inspired CITV series launched earlier this year and now the Super 4 toy sets are now available to buy! Shaped around the different worlds of PLAYMOBIL (Pirates, Fairies, Knights and Top Agents), Super 4 follows the adventures of four heroes Alex, Gene, Ruby and Twinkle with new toys to complement the TV series. 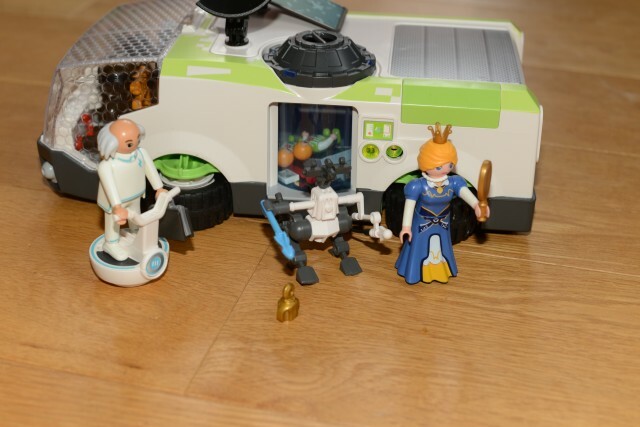 We were sent a range of toys from the Technopolis World to review. Technopolis is a high tech city built under a dome where people have no fun whatsoever and no one ever laughs!! 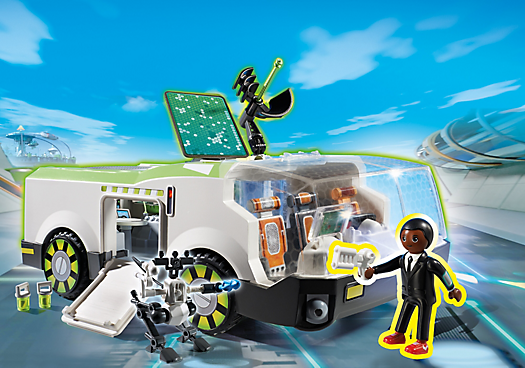 The Techno Chameleon truck come with Gene and a cute little robot. 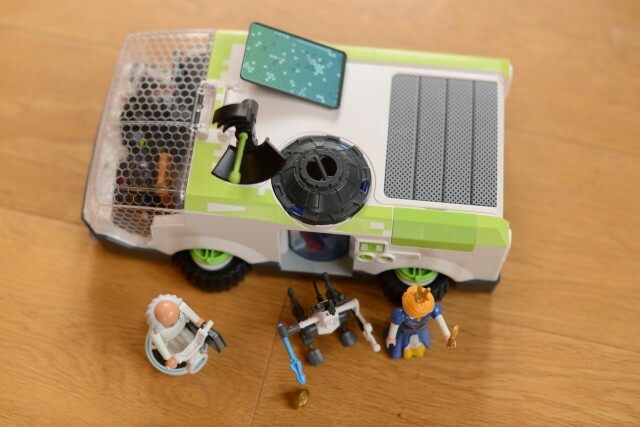 The truck has been a big hit in our house, my children love that you can bend the wheels back flat, it also shoots and has a rotating entry door. Building the Techno Chameleon Truck took us about 20 minutes, you can see our YouTube video here. My children have been arguing incessantly over who gets to play with the truck, which shows you just how great it is and how wide the appeal. My 5 year old daughter is just as excited by it as my 8 year old son. Priced at £39.99 we think this is a good value set with a lot of play potential. We were also sent Princess Leonora ( £3.99 ) and the mysterious Dr X ( £.4.99 ) who rules over Technolopolis. Don’t forget to check out the other Playmobil Super 4 toys available, we especially like the look of the Musical Flower Tower. Which is your favourite Super 4 toy? Even if gold is not found on the day, every child can win a new Super 4 toy set and claim a special reward and every child will receive exclusive Super 4 collectible stickers in return for a completed puzzle which can be collected at Hamleys on Regent Street. The treasure trail is running until Christmas. We can’t wait to have a go! 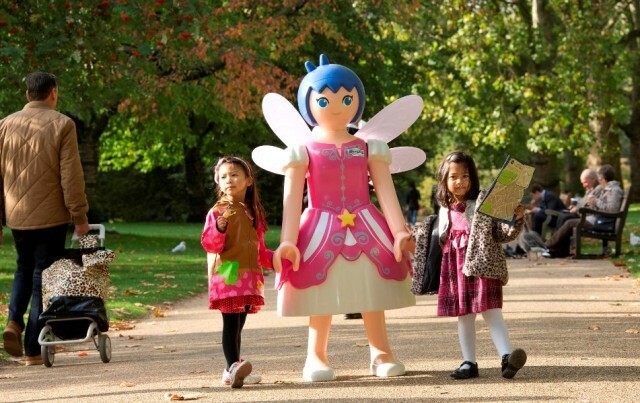 We are Ambassadors for Playmobil. The truck looks like a lot of fun! I read about this the other day, but I’d not heard about it before. Will have to get my son watching as he has enjoyed other playmobil films. Kara recently posted..It’s easier to go down a hill but the view is much better at the top! !